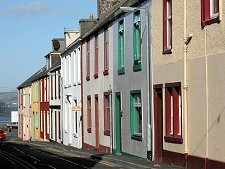 Stranraer is the largest settlement in south west Scotland. It lies at the head of Loch Ryan, on the north side of the neck of land that prevents the Rhins of Galloway becoming an island. 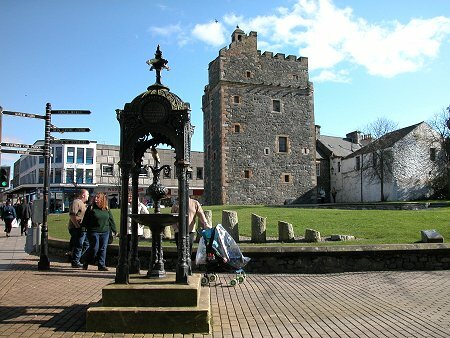 The town's origins date back nearly 500 years to the building in 1511 of Stranraer Castle, also known as the Castle of St John. 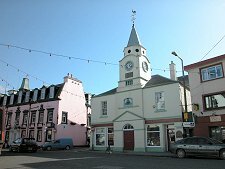 This now stands in the centre of the town, but it was originally built behind the broad beach at the head of Loch Ryan. Only later did a settlement begin to grow around it. 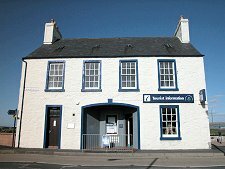 The Castle of St John now houses a museum, while the excellent Stranraer Museum can be found in the old town hall. By 1600 it had become the market town for the Rhins of Galloway to the west and the rural areas to the east. In the 1760s Stranraer was reached by a military road built from Bridge of Sark on the English border via Dumfries to Portpatrick. This in turn led to Stranraer featuring on the drove route used by Irish cattle being moved to market in Dumfries. It was only in the mid 1700s that a harbour was first built in Stranraer itself, and further port development took place in the 1820s. But it was the coming of the railway from Dumfries in 1861 which finally established Stranraer as the area's main port. In 1862 the line was extended to serve the harbour directly, and in the same year a link to Portpatrick was also opened. Some time later a rail connection north to Girvan was established. For much of the following 150 years Stranraer was unchallenged as the natural location for the main Scottish port for the Irish ferries. Roll-on roll-off ferries appeared on the Irish routes well ahead of elsewhere in the UK. This played a part in the loss of 133 lives on 31 January 1953 when the MV Princess Victoria's car deck was swamped by heavy seas en route from Stranraer, and the ship sank off Northern Ireland. 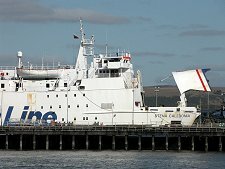 In the 1970s P&O moved their services from Stranraer to a new terminal built nearer the mouth of Loch Ryan at Cairnryan and in 2000 the SeaCat fast catamaran service from Belfast was switched from Stranraer to Troon. In late 2011 Stena also moved their Stranraer operations to Cairnryan. But despite these setbacks, Stranraer has rather more going for it than usually gets mentioned in the guide books. The town centre is surprisingly attractive and bustling, and while it helps to see it on a sunny day, the whites and bright colours of many of the buildings make it brighter in any light. 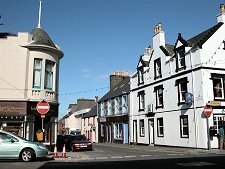 Stranraer also serves as the gateway to the Rhins of Galloway. Roads from here head north to Leswalt and south past Drummore to the Mull of Galloway, Scotland's most southerly point. And west lies Portpatrick, now a beautiful resort complete with harbour. 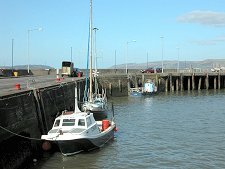 Another link with Portpatrick is provided by the Southern Upland Way long distant footpath, which begins there and passes just to the south of Stranraer itself en route to the North Sea.